If you are planning on getting your home remodeled, there will be a number of things you have to take into consideration. The market is choc-a-bloc with various materials and design trends change very quickly. As a homeowner, you want to have a home that is stylish, functional as well as attractive. Bristol Construction is one of the most preferred companies in this space. Over the years, we have built a very strong relationship with our customers and can help you with excellent interior remodeling solutions. Since we are a full-service design build company, we are very aware of all the latest trends in interior design and provide our customers solutions that work perfectly for them. Every homeowner has specific needs in terms of the way they want their home to look and function. When our company handles your interior remodeling project, we first understand what your specific requirement is and then incorporate all your ideas into the design. Addition of a New Room/Second Storey- This gives you the extra space you need to accommodate your growing family or an elderly person in your house. Basement or Attic- We can provide solutions that can turn these spaces into a home theater, home office, guest room an exercise room or any other room you like. Kitchen- Whether you want a complete remodel of the kitchen or just want to upgrade some of the features, we can help. Bathroom- In most homes, these spaces get sidelined when home remodeling is being actioned. If you feel you want to revamp these areas and give them a new look, we have the expertise to provide simple and effective solutions that work for you. There are a number of remodeling features that help in adding to the allure and functionality of your home. You only have to tell us what your requirements are and we will provide solutions that fit into your budget. We adopt a very methodical approach to interior design and focus on creating spaces that are comfortable and beautiful. The best materials and workmanship are used, and the work is completed on schedule, within the pre-decided budget. Irrespective of whether your interior remodeling project is big or small, simple or complex- we will handle it for you with attention to detail. We never cut corners on any count and there are never any hidden costs either. The aim is to design and install features that you will love to look at and use in your home. The entire project will always be only about you and we give form to your vision. So, if you want to add a new sunroom or remodel your bedroom or kitchen, we are the company to come to. 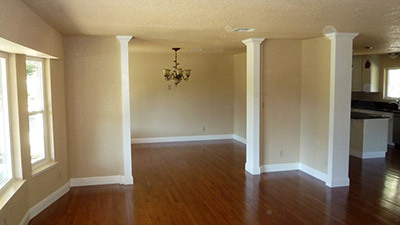 As fully-licensed contractors, we have the resources, experience and expertise to handle projects to your satisfaction. 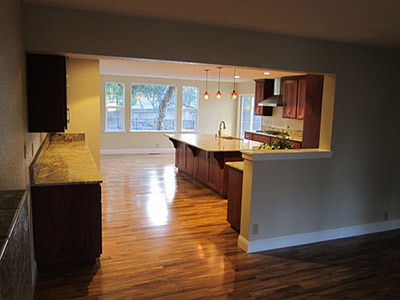 For more information about our interior remodeling services in and around Sacramento, Folsom, Citrus Heights, call Bristol Construction on 916-798-4827. You can use this form to send us an email.